A bore is the diameter measurement of the cylinders in an engine. When the engine cylinder walls are damaged, the holes must be re-drilled to make them bigger for proper performance. This is referred to as a bored engine. Boring an engine is an economical alternative to buying a new one. By boring the engine block, the engine is reverted to its good running condition. You will now have fewer repair bills, better gas mileage, and overall better performance. To have your engine bored by engine experts, visit or call 773-292-1643 Julio's Auto Parts today. Our machine shop has the necessary machinery and staff to bore your car's engine block. A brake drum/rotor is not meant to last forever. They wear down a little every time you step on the brake pedal. Most modern cars come with thinner rotors to save on weight. Due to their slimness, the rotors wear out faster. For this reason, it is advisable to have the rotors and brake drums resurfaced every time you are replacing the brake pads. Resurfacing is an economical alternative to replacing the rotors/drums with new ones. If your brake rotors/drums have sufficient metal remaining with no hard spots, cracks, severe grooving, or rusting, then resurfacing is a great option. For expert resurfacing services, call 773-292-1643 or visit Julio's Auto Parts today. A cracked head is a serious engine problem that can lead to your car breaking down. Even if the car engine won't fail, it will definitely suffer from poor performance. The following are some symptoms of a cracked engine head: oil leaks, low engine compression (engine combustion pressure escapes), coolant leaks (leading to engine overheating), engine head smoke, and engine missing. At Julio's Auto Parts, we will have a knowledgeable service professional check for cracked heads on your car's engine. A common question among car owners who own a manual shift transmission and work on it themselves is "Who can turn my flywheel?". For all your flywheel turning needs, call 773-292-1643 or visit Julio's Auto Parts today. From time to time, your car will need heavy-duty machine work. You can trust the experts at Julio's Auto Parts in Chicago, IL 60647. Call us at 773-292-1643 or drop by today. Parts cleaning is essential to most machine works. For all your parts cleaning needs, call or visit Julio's Auto Parts in Chicago, IL 60647 today. We have a machine shop that will handle this. A clunking or clicking sound from underneath your car may indicate a worn out universal joint (U joint). A worn U joint can be replaced easily by use of a press machine. First press one side, remove the cap and then press the other side in the same fashion. Although easy, most auto shops do not press U joints due to lack of the necessary machinery and expertise. At Julio's Auto Parts's machine shop, we have the necessary press machines and qualified staff to press your car's U joints. At Julio's Auto Parts's machine shop, we will handle all your wheel bearing needs with our high-tech press machines. Call us at 773-292-1643 or visit us in Chicago, IL 60647 today. Head shaving, also known as milling is the process of ensuring that the head is flat and true when changing a head gasket. Milling the heads ensures that you get a perfect seal. When changing head gaskets, let the machine shop inspect the head and tell you if it needs milling. At Julio's Auto Parts, we will inspect your heads, determine whether they need milling, and shave them. Call us today or visit our machine shop in Chicago, IL 60647. A valve job is an operation performed on any 4-stroke engine. The main purpose of this job is to resurface the mating surfaces of the poppet valves and their respective valve seats. Valve jobs usually only occur in high-performance vehicles, but sometimes passenger cars need valve jobs for these reasons: overheating, material failure, high mileage, excessive RPM, and foreign object damage. 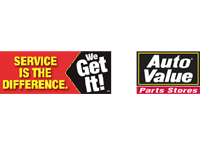 Call 773-292-1643 or visit Julio's Auto Parts for all your valve job needs. Welding is the fabrication and sculptural process that joins metal parts. At Julio's Auto Parts, we offer various welding services. Simply give us a call at 773-292-1643 or visit our shop in Chicago, IL.